Originally published on January 23, 2019 by BNP Media through the Building Enclosure Blog. It has been nearly half a decade since the American Society of Heating, Refrigerating, and Air-Conditioning Engineers (ASHRAE), the American Institute of Architects (AIA), the International Code Council (ICC); the Illuminating Engineering Society (IES); and the U.S. Green Building Council (USGBC) signed a Moratorium of Understanding to better align green building goals through ANSI/ASHRAE/ICC/USGBC/IES Standard 189.1, the International Green Construction Code (IgCC), and the LEED certification system. For years, these groups had been working on their owner green building standards and frameworks. That started to change in 2009, when USGBC, ASHRAE, and IES teamed up to released Standard 189.1: Standard for the Design of High-Performance Green Buildings, Except Low-Rise Residential Buildings. It marked a momentous step forward, as the standard established minimum requirements for the siting, design, construction, and plans for operation of high-performance green buildings. Though loosely modeled around the categorical framework of LEED, Standard 189.1 provided the industry with a true model standard for green building rather than to some sort of guideline or volunteer rating system. Though many municipalities across the U.S. have local ordinances requiring LEED, Standard 189.1 offered a document more conducive to amendment and adoption as code for a wider range of jurisdictions. 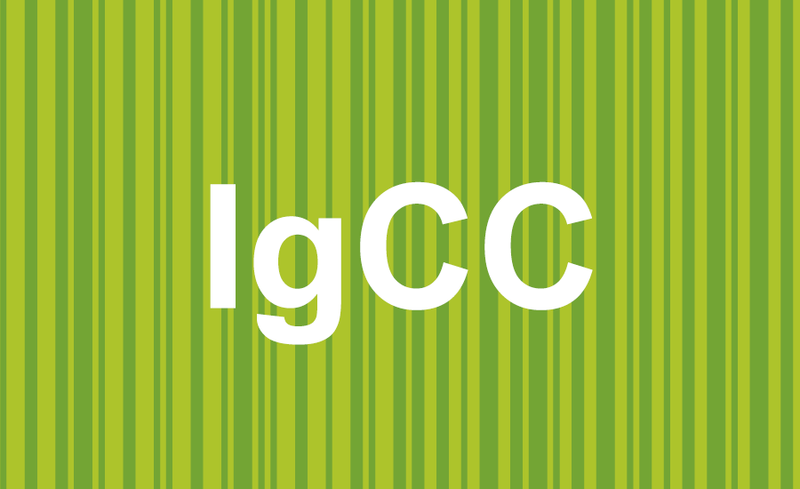 However, by 2012 the ICC released its first edition of the IgCC, which was similar in breadth and scope to Standard 189.1, but harmonized with the organization’s widely utilized international model codes (i.e., the “I-Codes”). Recognizing the duality in the marketplace, and to help circumvent potential regulatory complications, the 2012 (and the subsequent 2015) version of the IgCC included Standard 189.1 as a project compliance option. A bit confusing, yes; and the duality (and seeming competition) of Standard 189.1 and IgCC was compounded by pre-existing LEED mandates in various cities. This was the impetus for the August 2014 Memorandum of Understanding. As a result in 2015, ICC was added as an additional cosponsor of the 2017 edition of Standard 198.1, which served as the technical content of the 2018 IgCC. At a moment when LEED is pivoting toward an increasingly more stringent certification model based on an integration of strategies and measured performance (utilizing the emerging arc platform), the 2018 IgCC is poised to fill the necessary role of setting a minimum standard for energy and environmental design.